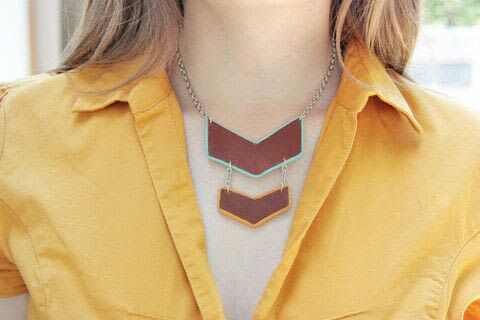 A minimalistic complimentary chevron pendant. 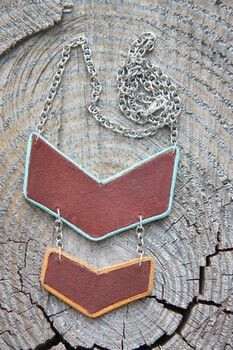 Trace and cut your chevrons from the leather scraps. Soften the edges if you want. 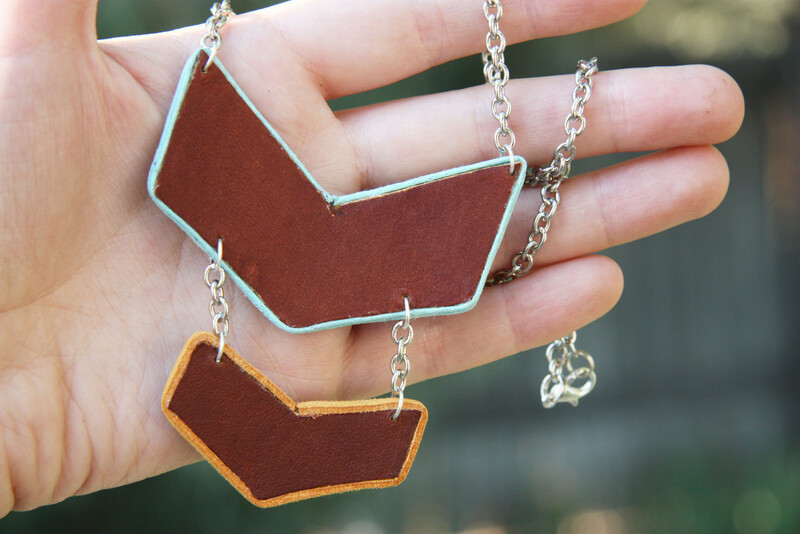 Attach the cord and string using a strong glue. I use E6000.